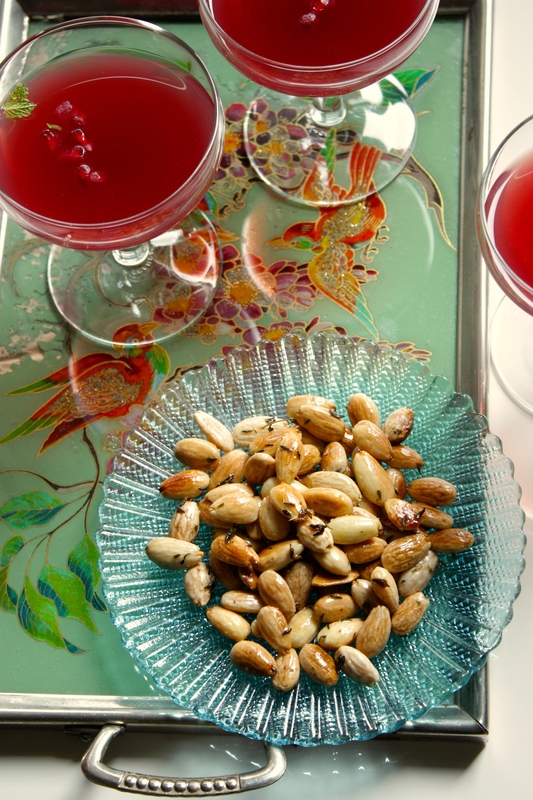 We’re still knee-deep in holiday parties and in case you are hosting one of your own, and looking for a simple but super-festive cocktail to serve, I have one that you might love. My kir pomegranate punch is special but simple. Grab your favourite sparkling wine, mix with pomegranate juice and pour a little well of cassis at the bottom of each flute or coupe for a drink that screams new year’s eve. Top with mint and pomegranate seeds. The easiest way to free the seeds is is to quarter the whole fruit and pry the seeds out while each piece is submerged in a bowl of water. No seeds flying wild, and the pitch and pearls separate easily. Just skim the seeds off the top.